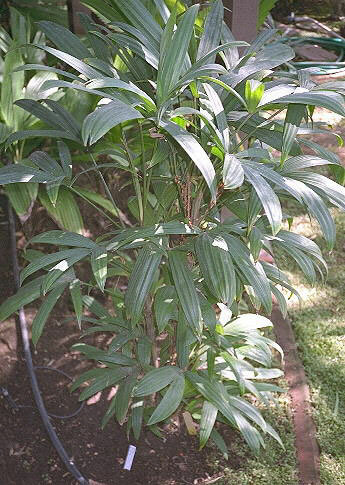 Description: Cold hardy suckering palm with dainty, narrow, fan shaped leaves similar to the Rhapis palm (lady). Quite tolerant of low light. Excellent oriental looking small palm.